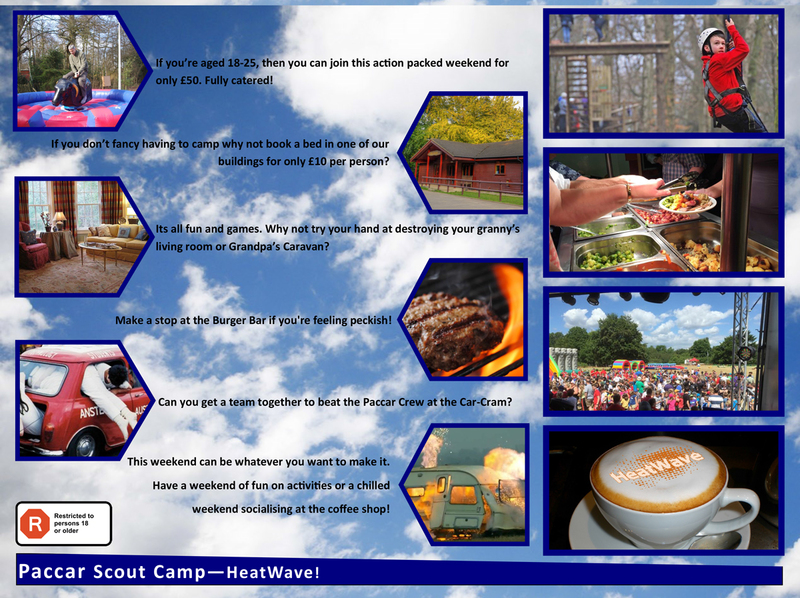 HeatWave is an event open to 18-25 year olds looking for a weekend of laughs and good company! Whether you’re Scout Network or Senior Section this event is the one to be at in 2016! Starting on the evening of Friday 19th August and running through until the evening of Sun-day 21st (with the option of staying until Mon-day 22nd). This weekend is Fully Catered so no need to pack your camping stove & water carrier! All for the small fee of only £50.00 per person!